Four years ago Sidney Rielly was at a crossroads. She was completing her freshman year at Santa Clara, a school where she had fallen in love with both the academics and campus lifestyle. The only thing that didn’t feel right was her role with the basketball program. Before her freshman season even began Rielly considered re-opening her recruitment but the lure of Santa Clara as a school was too much to pass on. She remained committed to the program despite the coaching change. By the end of her freshman season, however, it was becoming clear to her that it wasn’t going to work out. Scoring was not something Rielly struggled with in her prep career. 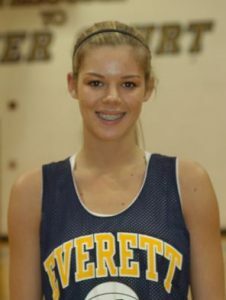 She had become the all-time leading scorer at Everett High School, but as a freshman on Santa Clara she averaged under four points per game. 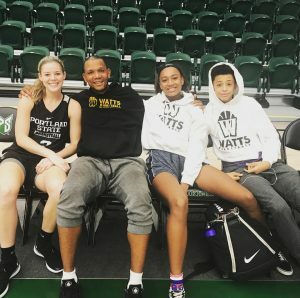 While a difficult transition from the prep to college game is nothing new, being told she wasn’t good enough to be a scorer at the division I level meant that the coaching staff didn’t see her fitting into their long-term plans in a way that fulfilled her goals. 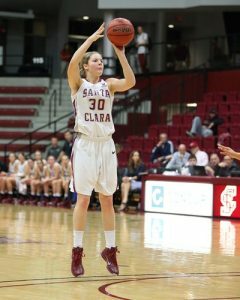 Knowing she loved everything about Santa Clara besides her role in the basketball program, Rielly struggled to decide what to do. She went as far to contemplate quitting basketball altogether. Finally, after a lot of careful thought, Rielly decided to transfer. Almost the instant it became known that she was looking for a new program, she had Lynn Kennedy recruiting her to join Portland State. Kennedy had just been named as the new head coach of the Vikings. 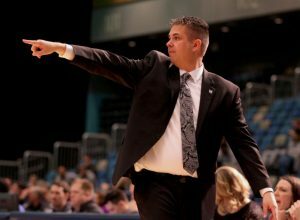 A program that had seen success at the start of the decade but had fallen to the bottom of the conference in recent years. For Rielly, knowing that she would be leaving Santa Clara for a program that was in chaos from the previous year didn’t phase her. She had a simple reason for making the leap of faith. 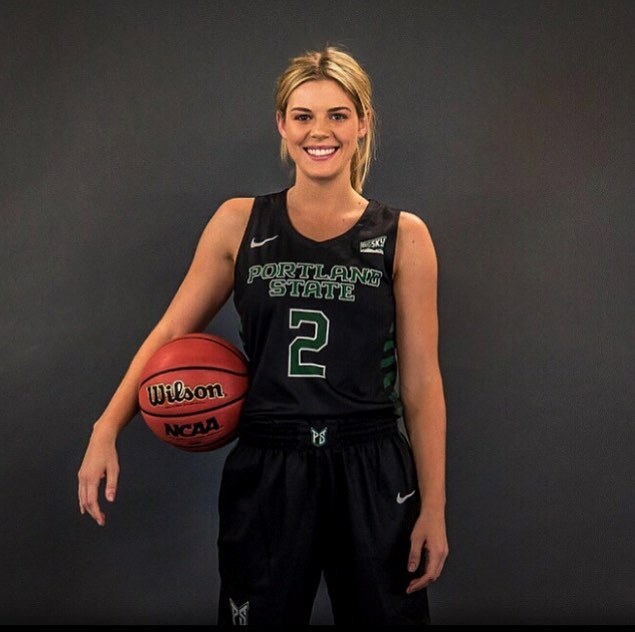 After redshirting the 2015-’16 season as a transfer, Rielly, along with fellow transfers Ashley Bolston and Courtney West, set to work returning Portland State to prominence. For Rielly, that work ethic took her from being told she could never be a lead scorer at the Division I level, to leading all guards in the nation in field goal percentage her first year as a Viking. Her blistering 53 percent accuracy that season was just ahead of the first pick in that year’s WNBA draft, Kelsey Plum. In her two seasons in Portland, Rielly is averaging 16 points per game on 49.4% shooting. That success hasn’t stopped her from working to get even better. “I spent this offseason working with Donald Watts on my point guard skills, handling the ball under pressure, decision making and being aggressive,” Rielly explains about her preparation for her senior campaign. According to Coach Kennedy, Rielly’s work ethic has always been a standout feature of who she is as a player and teammate. That drive to improve comes from both an individual and team perspective for Sidney. 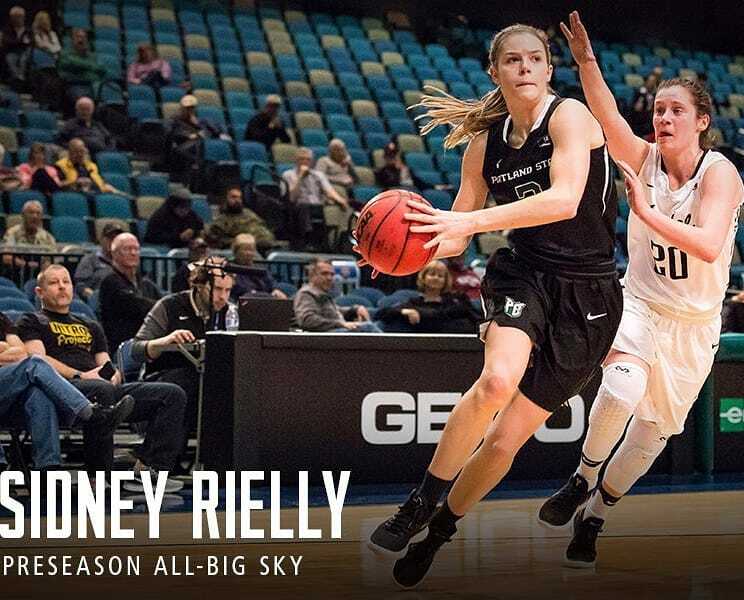 As Rielly, who was recently named to the Big Sky pre-season all-conference team heads into her senior campaign, there remains one goal that her and the rest of the Vikings are chasing. Coach Kennedy has no doubt that the leadership that Rielly and her fellow seniors bring can make that a reality. Now, four years removed from having to make the tough decision to transfer because she was told she wasn’t good enough, Rielly is poised to leave a basketball legacy that many can only dream of. With her senior campaign under two weeks away, Rielly has given some thought as to what she wants next in her life. That focus should help take the Vikings all the way to that elusive championship.